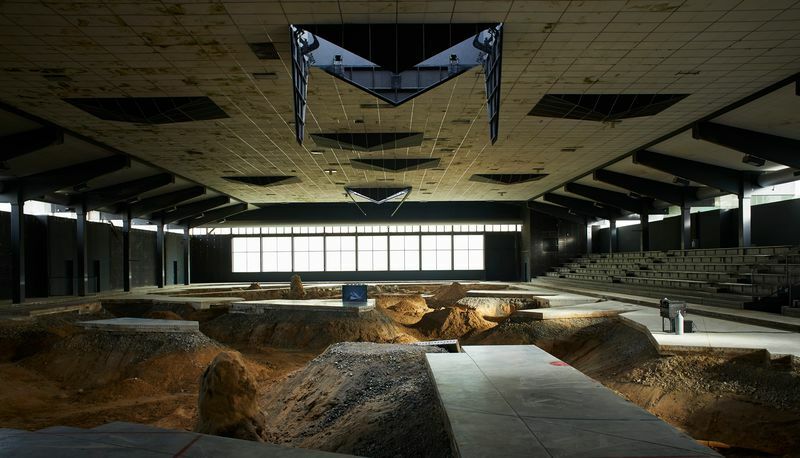 Pierre Huyghe’s works often present themselves as complex systems characterized by a wide range of life forms, inanimate things and technologies. His constructed organisms combine not only biological, technological and fictional elements, they also produce an immersive, constantly changing environment, in which humans, animals and non-beings learn, evolve and grow. Born in Paris, 1962, Huyghe’s oeuvre has gained international acclaim for its ability to challenge conventional forms of representation and accepted, narrative models. Covering an eclectic array of topics – ranging, variously, from genetic engineering and new realist philosophy to seascapes – Huyghe’s work unremittingly interrogates the contours of cultural, biological and exhibition-based systems. As the language of art undergoes ever-accelerated shifts, Huyghe’s practice embeds in the very interstices of this re-configuration. His body of work continues to play a significant role in the development and expansion of contemporary art. Huyghe has been celebrated internationally with solo exhibitions at venues including the Los Angeles County Museum of Art; the Tate Modern, London; the Guggenheim Museum, New York; and the Centre Georges Pompidou, Paris. He has also featured in major international group shows including the Documenta, the Biennale of Sydney, the Whitney Biennial and the Venice Biennale, where in 2001 he represented France. 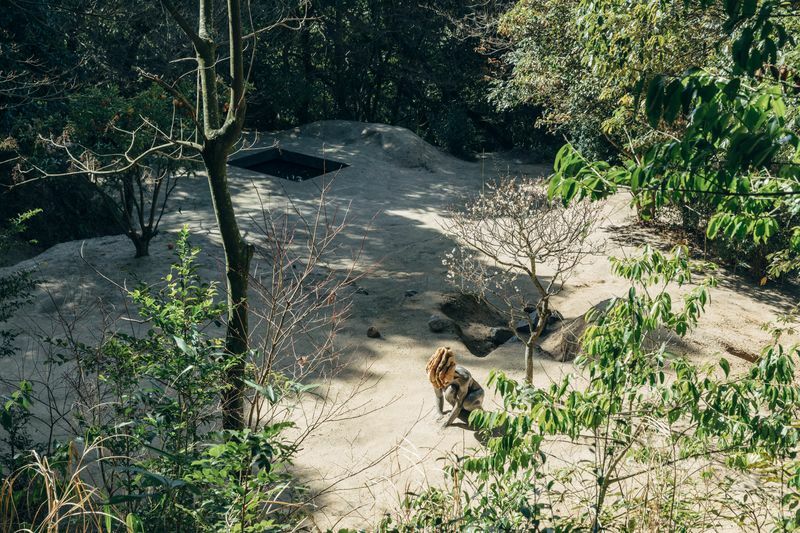 In 2017, Huyghe participated in the decennial exhibition of public art Skulptur Projekte Münster with the highly regarded speculative ecosystem After A Life Ahead. 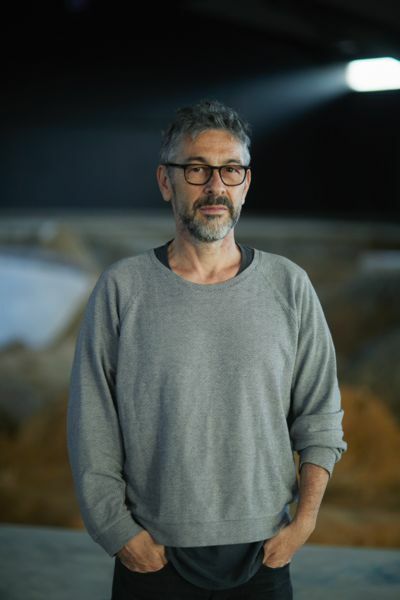 In 2017, Huyghe was awarded the Nasher Prize for Sculpture. He was also the recipient of the Kurt Schwitters Prize at The Sprengel Museum in Hannover, Germany (2015), Roswitha Haftmann Prize in Zurich (2013), the Smithsonian American Art Museum’s Contemporary Artist Award (2010), the Hugo Boss Prize (2002), the Special Jury Prize awarded by 49th Venice Biennale (2001) and received the DAAD Artist in Residence grant in Berlin (1999 – 2000). Huyghe, Pierre as quoted in Centre Pompidou, ‘Pierre Huyghe:’ https://www.centrepompidou.fr/cpv/resource/c9nnKkx/rB9r49. 2018 Dziewior, Yilmaz (ed. ), 'Museum Ludwig. Art. 20th/21st Centuries. Collection. Painting, Sculpture, New Media', Cologne: Verlag der Buchhandlung Walther König, 2018, p. 263, ill.
Birnbaum, Daniel, Noring, Ann-Sofing (eds. ), ‘Moderna Museet. The Collection’, London: Koenig Books, Stockholm: Moderna Museet, 2018, pp. 114-115, ill.
Griffin, Jonathan, Harper, Paul + [et al. ], 'The Twenty -First Century Art Book, London: Phaidon Press Limited, 2014, p.129, ill.
Schimmel, Paul, Sutton, Gloria (eds. ), 'Ecstasy: in and about Altered States, Los Angeles / Cambridge: Museum of Contemporary Art / MIT Press, 2005 (ex. 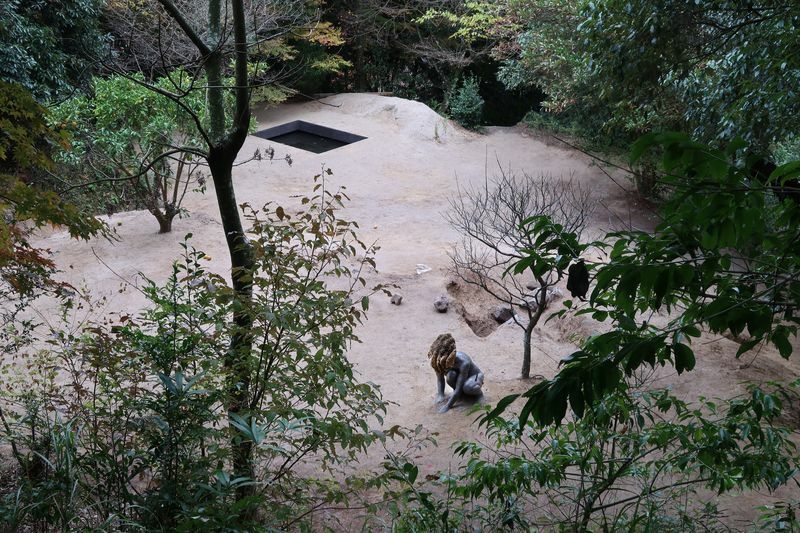 2019 Fenstermaker, Will, ‘Pierre Huyghe. UUmwelt’, on: www.brooklynrail.org, Brooklyn, 5 February 2019, ill. Chakrabarti, Kanad, ‘Sanded Edges. Pierre Huyghe Turns Polite at the Serpentine’, on: www.momus.com, London, 1 February 2019, ill.
Sherwin, Sky, ‘Pierre Huyghe’s UUmwelt. Seductive and and Absurd’, on: www.theguardian.com, New York, 11 January 2019, ill.
World News editors, ‘Pierre Huyghe. London’, in: World News, Tokyo, January 2019, pp. 178-179, ill.
2018 Bonacorsi, Ivo, ‘Pierre Huyghe and the sublime subversion of reality’, on: www.domusweb.com, Milan, 11 December 2018, ill.
McDermott, Emily, ‘Pierre Huyghe. Indiscernible, Unpredictable, Irrational’ (int. 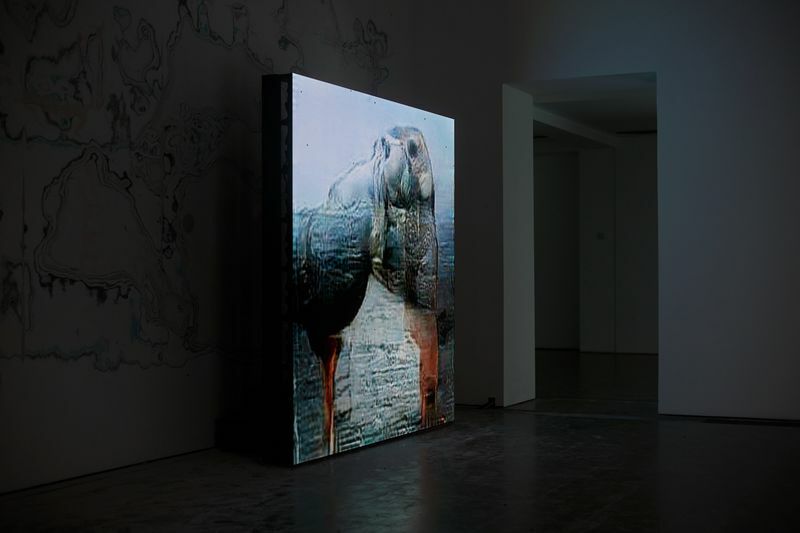 ), on: www.elephant.art, 20 December 2018, ill.
Katz, Flora, ‘Pierre Huyghe’s ‘UUmwelt’’, on: www.art-agenda.com, Paris, 19 December 2018, ill.
___, 'Pierre Huyghe at Serpentine Galleries', on: www.artviewr.org, London, 7 November 2018, ill.
Blouin Artinfo Editors, 'Pierre Huyghe’s 'UUmwelt' at Serpentine Gallery, London', in: Blouin Artinfo, London, 5 November 2018, ill.
Hanger London Blog Owners, 'The Serpentine Gallery Pierre Huyghe exhibition', on: www.hangerlondon.com, 5 November 2018, ill.
Stavrinaki, Maria, 'All the Time in the World', in: Artforum, New York, vol. LVI, no. 7, March, 2018, pp. 203-213, ill.
Christov-Bakargiev, Carolyn, '100 Favorite Artworks', in: Bazaar Art China, Beijing CN, January 2015, p. 106, ill.
2014 Andrew Russeth, 'Traveler of both Time and Space', in: ARTNews, New York NY, November 2014, pp. 100-107, ill.
Luke, Ben, 'My, what do you have hairy arms,' in: The Evening Standard, London UK, 1 October 2014, pp. 38-39, ill.
Khan, Tabish, 'Surreal Video Art By Pierre Huyghe', on: www.londonist.com, London UK, 25 September 2014, ill.
Brown, Griselda Murray, 'Monkeys, artists and other uncontrollableanimals', in: The Financial Times, London UK, 24 September 2014, p. 15, ill.
Barnes, Freire, 'Pierre Huyghe: In Deep Border', in: London Time Out, London UK, 23 September 2014, p. 87, ill.
Openshaw, Jonathan, 'In. Border. Deep ', on: postmatter.com, London UK, 19 September 2014, ill.
Searle, Adrian, 'Monkey waiters and axolotls: the disconcerting art of Pierre Huyghe', on "www.theguardian .com, London UK, September 17, 2014, ill.
Sherwin, Skye, 'Pierre Huyghe Goes Deep. Inside the artist's show at Hauser & Wirth in London, on: www.wmagazine.com, New York NY, September 16, 2014, ill.
Randy, Kennedy, 'Conceptual Anarchy', in: New York NY, September 7, 2014, pp. 73-74, ill.
___, 'Pierre Huyghe: In Border Deep, Hauser & Wirth', on: www.culturalwhisper.com, London UK, 3 September 2014, ill.
Milliard, Coline, 'The UK's 25 Must-See Fall Exhibitions', on: www.artnet.com, New York NY, 1 September 2014, ill.
___, 'Visual & Performing arts', on: www.institutfrancais.org.uk, London UK, September 2014, ill.
Heiney, K., 'Cologne - Pierre Huyghe at Ludwig Museum, Through July 13th, 2014' , on: artobserved.com, New York NY, July 12, 2014, ill.
Seale, Adrian, 'An infuriating, clashing drama that fizzles out', in: The Guardian, London UK, 17 June 2014, p. 11, ill.
___,, ' ', Monopol, Berlin DE, May 2014, p. 70, Pierre Huyghe ', Monopol, Berlin DE, May 2014, p. 142, ill.
, ' ', Monopol, Berlin DE, May 2014, p. 70, ill.
___, Museum Ludwig. Köln. Pierre Huyghe ', in: Sculpture, New Jersey NJ, June 2014, p. 17, ill.
Steverlynck, Sam, 'The Crime Was Almost Perfect', in: Art Review, London UK, May 2014 p. 118, ill.
Sennewald, J. Emil, 'Pierre Huyghe - Begegnung, Spektakel und Entgegnung', in: Kunst Bulletin, Zurich CH, May 2014, ill.
___, 'The Host and The Cloud, A film by Pierre Huyghe in MACBA', on: www.b-guided.com, Barcelona ES, 5 May 2014, ill.
Schwerfel, Heinz Peter, 'Aus der Kontrolle geraten', in: art Das Kunstamagazin, DE Hamburg, May 2014, p. 122-123, ill.
Sfeir-Semler, Andree, 'Sightlines', in: Art in America, New York NY, May 2014, p. 33, ill.
Niermann, Anne, 'Pierre Huyghe: Museum Ludwig, Koln', on: www.undo.net, Milan IT, 10 April 2014, ill.
Müller, Vanessa Joan, Ein Hund Namens Mench: über Pierre Huyghe im Pompidou Center, Paris', in: Text zur Kunst, DE Berlin, March 2014, pp. 250-254, ill.
Claire, 'Pierre Huyghe @ Pompidou Center, Paris', on: allhollow.com, Romania RO, 27 January 2014, ill.
From Saint Hilaire, K., 'Paris - Pierre Huyghe at Center Pompodou Through January 6th, 2014', on: artobserved.com, London UK, 8 January 2014, ill.
Saunders, Wade, 'Pierre Huyghe', on: artinamericamagazine.com, New York NY, January 2, 2014, ill.
Soobramanian, Natasha, 'Refrections From Damaged Life: Raven Row, London', in: Frieze, UK London, January / Febryary 2014, p. 153, ill.
Bourriaud, Nicolas, 'Pierre Huyghe: Pompidou Center, Paris', in: Artforum, New York NY, January 2014, pp. 200-202, ill.
___, 'Pierre Huyghe at the Pompidou Center, Paris', on: leadingculturedestinations.com, London UI, January 2014, ill.
2013 Ritter, Kathleen, 'Pierre Huyghe: The Walking Dream', on: www.canadianart.ca, Tronto CA, 30 December 2013, ill.
Sky Rehberg, Vivian, Pierre Huyghe at Pompidou Center and Philippe Parreno's "Anywhere, Anywhere Out of the World" at Palais de Tokyo, on: art-agenda.com, New York NY, 19 December 2013, ill.
Khazam, Rahma, 'Pierre Huyghe / Philippe Parreno', in: Frieze, UK London, December 13 / January 14, pp. 138-139, ill.
Christov-Bakargiev, Carolyn, Cruse, Maile [et al. ], 'Top 100 Gallery of the Gegenwart', in: Monopol, Berlin DE, December 2013, p. 52, ill.
Homersham, Lizzie, 'Pierre Huyghe, Paris Pompidou Center', on: www.thisistomorrow.info, London UK, 29 November 2013, ill.
Dotter, Stefan, 'Pierre Huyghe at Center Pompidou, Paris', on: whiteliesmag.com, Berlin DE, 25 November 2013, ill.
Ferrand, Guillaume, 'Pierre Huyghe - Retrospective / Center Pompidou', on: veinemagazine.fr, Paris FR, 20 November 2013, ill.
Colard, Jean-Max, Pierre Huyghe at the Center Pompidou: "I intensify what is there", on: www.lesinrocks.com, Paris FR, 12 November 2013, ill.
Baer-Bogenschütz, Dorothee, 'Pierre Huyghe Eine Jury sah rosa: Roswitha-Haftmann-Preis fur Hündefreund', in: Kunstjahr 2013, Berlin DE, November 2013, pp. 121-121, ill.
___, 'purple DIARY - Pierre Huyghe at Pompidou Center, Paris', on: purple.fr, Paris FR, November 2013, ill.
Hohmann, Silke, 'Expedition in den Menschenpark: Pierre Huyghe verwandelt das Paroser Center Pompidou in ein Versuchaslabor', in: Monopol, Berlin DE, November 2013, pp. 130-131, ill.
Ricciardi, Nicola, 'Pierre Huyghe at Center Pompidou, Paris', on: moussemagazine.it, Milan IT, 25 Oct 2013, ill.
Piecing, Celine, 'Pierre Huyghe's Magical, Shapeshifting Survey at the Pompidou Center', on: blouinartinfo.com, New York NY, 1 October 2013, ill.
Barachon, Charles, 'Pierre Huyghe. <> ', in: Technikart, Paris, October 2013, pp. 70-75, ill.
Gray, Tobias, 'Pierre Huyghe: THe French artist on failure, fame and white T-shirts', on: online.wsj.com, New York NY, 19 September 2013, ill.